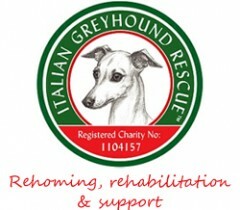 If your Italian Greyhound is affected by seizures samples of your dog’s DNA will help in our research with the Animal Health Trust into inherited epilepsy. Please fill out the form at the end of this page to request a DNA Testing Kit which is supplied free of charge. Will the research cost me money? The only cost at the moment is a first class stamp, unlike other DNA tests that can cost anything from £24-£70.00. Once the research into inherited epilepsy is complete, and a DNA test has been developed, the AHT will happily provide the results of any dogs that were used in the research, free of charge, to that dog’s owners upon request. So it is in your and the your dogs’ best interests to take part now.